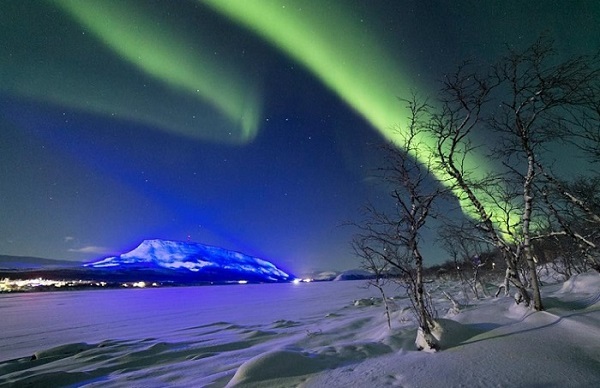 Light artists in Finland have made a mysterious lighting for the Sopka Saana. The installation area is 2,5 mln square metre which makes it the most large-scale installation in the world. Three countries around can see it at the same time.